DanceTots™ is a boutique ballet and dance studio catering for tiny dancers from 18 months to 7yrs old. We thrive on nurturing the love of dance and classical ballet; where every child is made to feel special and not just a number. Valuable life skills are learnt through structured classes, they learn to trust others and receive lots of encouragement. 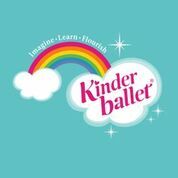 Our enchanting ballet classes awaken their imagination through movement, watch their confidence grow and develop beautiful friendships that will last a life time. Enter your details and questions and we will get back to you as soon as possible!